Effective climate control is about comfort and efficiency – delivering just the right amount of heating and cooling to every space while using no more energy than necessary. SmartFlex™ single- and multi-zone duct-free mini-split systems enable you to provide innovative solutions to residential and light commercial customers and obtain new growth opportunities for your business. 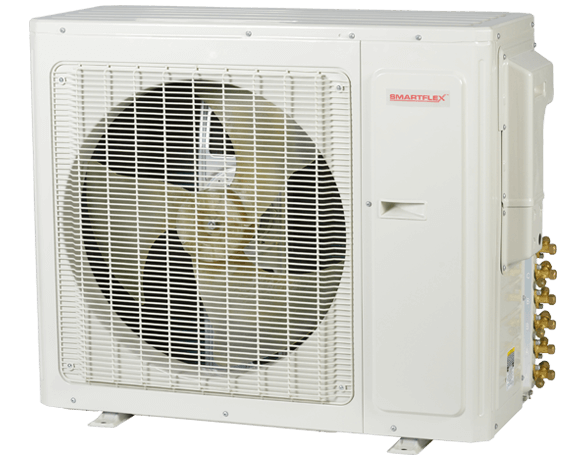 For distributors and mechanical contractors, SmartFlex™ duct-free mini-split systems provide an energy-saving solution for residential customers that effectively delivers comfort to all areas even in situations with varied loads and occupancy rates. For commercial sales and consulting engineers, SmartFlex™ duct-free mini-split systems solve difficult heating and cooling challenges on job sites where the adjustment of existing systems will not satisfy the need. A wide portfolio of quality SmartFlex™ single- and multi-zone duct-free mini-split systems gives you the ability to custom-fit the system to the exacting needs of your customer.